The Little Book Cliffs Wild Horse Area is managed for multiple uses, but wild horse habitat is the primary concern here. This 36,113-acre range is one of only three ranges in the United States set aside specifically to protect wild and free roaming horses. 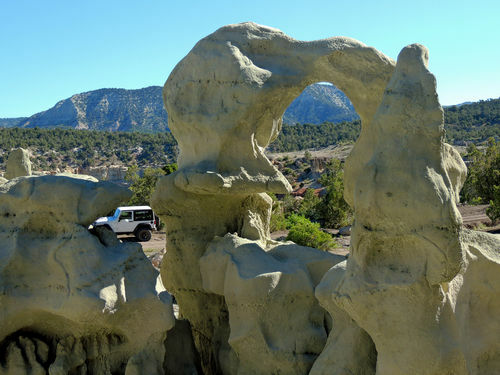 From 90 to 150 wild horses roam these rugged parks and pinyon-juniper covered hills. To travel the entire loop shown here go in a counter-clockwise direction from De Beque. This will allow you to see the Corcoran Sculptures (my name for them) and the Wild Horse Range without having to backtrack. If time is short simply go in and out on the Winter Flat Road. 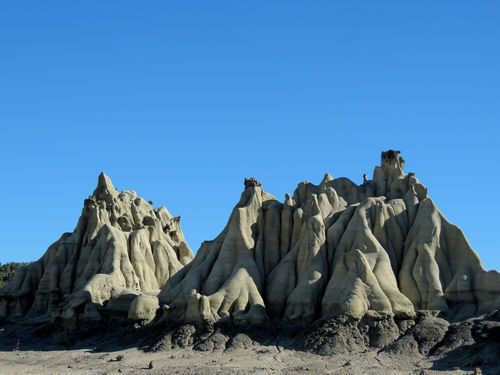 There is a layer of white rock near Corcoran Peak that has eroded into very interesting formations. The first evidence of it is this feature that looks like a mountain in this first photo. It is not nearly as big as it looks. A little bit farther you come to the Corcoran Sculptures. 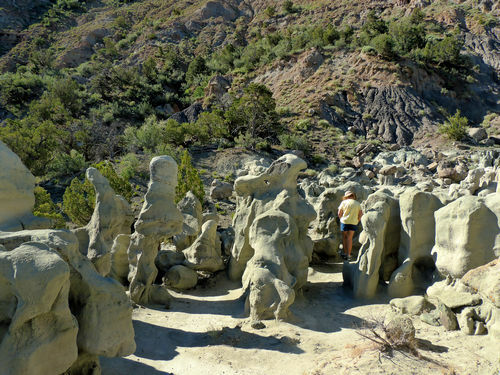 A wide range of shapes and formations. One rock has eroded into an arch, and another looks like aliens presiding over their courtyard. 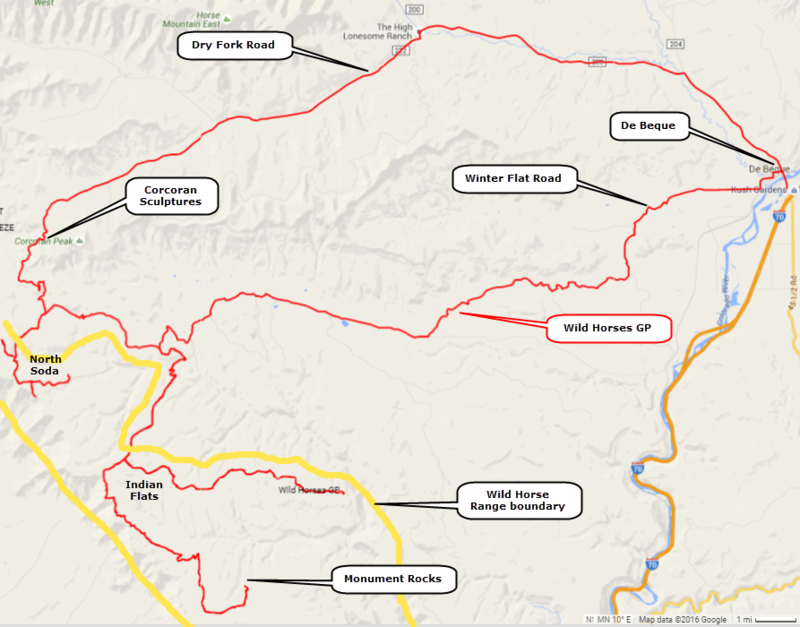 There are two road systems you can drive to search for horses - North Soda and Indian Flats. We drove all roads shown on this map and only saw one horse (North Soda). We were disappointed after seeing perhaps 3 dozen horses on the Pryor Mountain Range a few years ago. 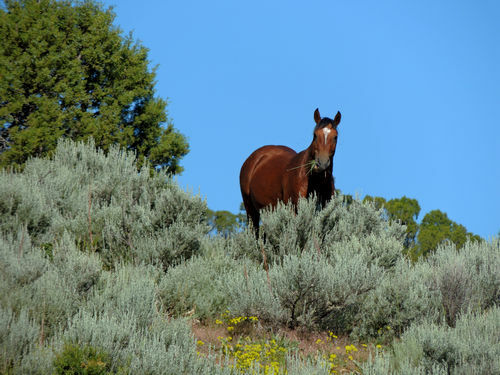 This wild horse range is heavily wooded with only limited areas open enough to spot horses. If we were to visit again we would do North Soda and the close parts of the two roads on Indian Flats. You can see the open areas on Google Earth. 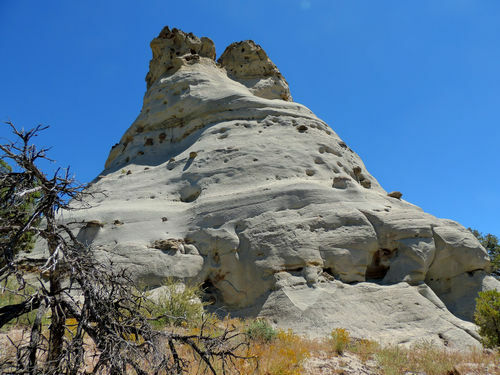 Monument Rocks is at the farthest point on one of the Indian Flats roads. Most of the road to it is heavily wooded. 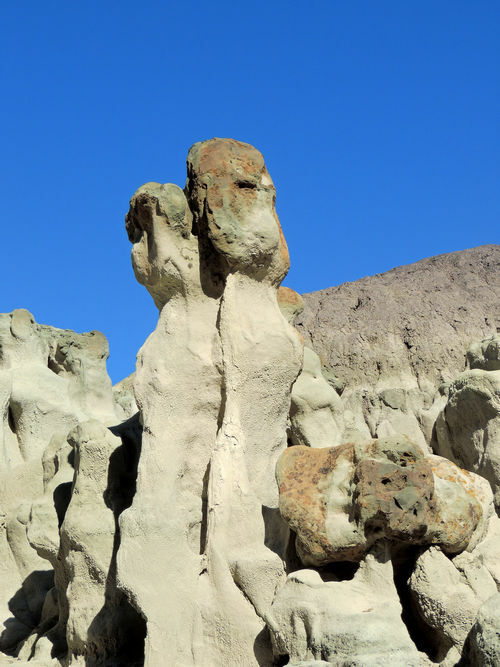 It is a white stone monolith with boulders of different material embedded in it. The white rock erodes exposing the boulders, then the boulders tumble to the base of the monolith.